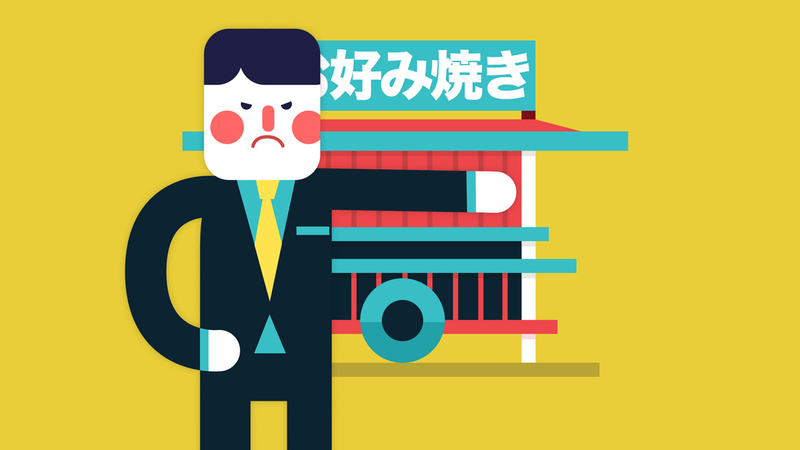 How the Japanese Government is Killing Yatai Food Carts Is This the End of Japan's First Fast Food? Every night at dusk, the sun sets over Fukuoka City and the past emerges from odd corners. From alleys between buildings and abandoned parking lots, wooden carts spring to life, carried like thrones by men dressed in cooking robes and cloth caps. It seems like a holy ritual, like the carrying of shrines at a festival. But the spirits inside these wood crates belong to cookery: hot pans, savory oils, and beer. The scene that unfolds each night in the Nakasu neighborhood is a traditional but increasingly maligned piece of Japanese culinary tradition, yatai 屋台（やたい） roughly translated as "food cart." 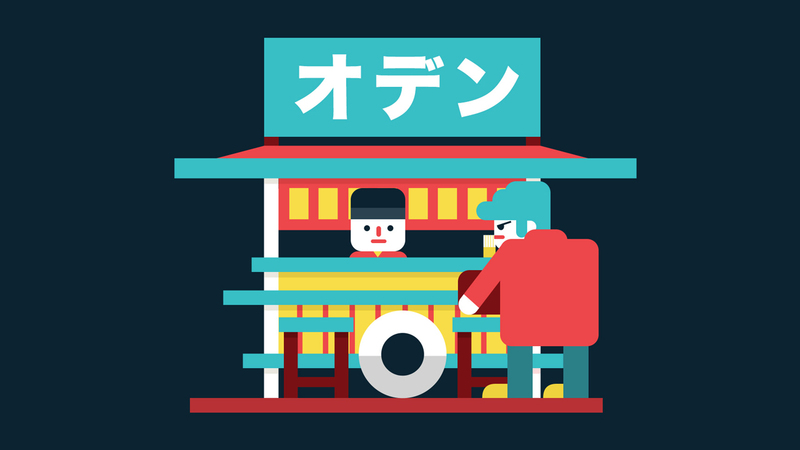 When I lived in Fukuoka, the yatai tradition always reminded me of where I was. In the center of a glistening city, bustling with salary men and women in sharp suits, the dark wood and waving flags indicated that I wasn't in some nondescript modern metropolis. These food carts have been set up alongside the Fukuoka riverbank, possibly for hundreds of years. Step into the short curtains and you connect yourself to a local ritual. And you get to eat a bit of history. But scenes like the one in Nakasu are fading. 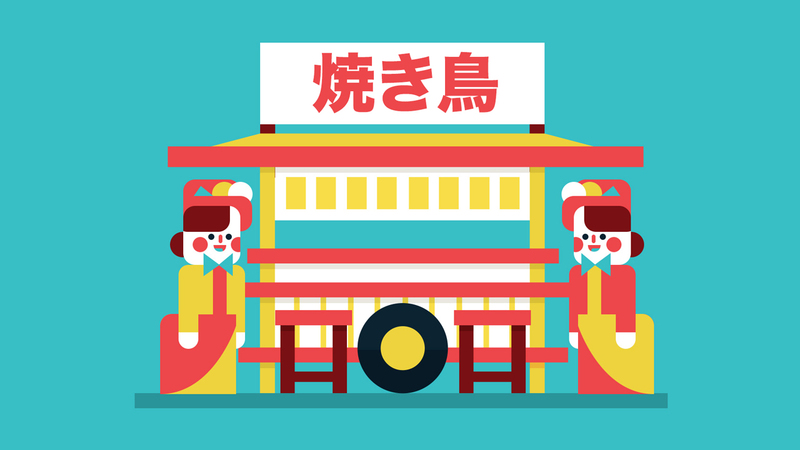 Today, most Japanese people associate the word "yatai" with the pop-up tents serving food at festivals. Old-school food carts, once popular all over Japan, are now mostly associated with Fukuoka. Even there, the numbers have declined. In the early 1960s, there were over 400 yatai vendors in the city. Today there are only 121 portable food stands. Being mobile restaurants, yatai can, in theory, serve anything. And they do. Yatai are, literally, wooden stalls on wheels. The wooden carts fold out into small but elaborate mobile restaurants, the frame of the cart serving as a kind of "bar" between the cook and patrons. Watching them open up is like watching Transformers in real life. A nondescript wooden crate with wheels becomes a full service restaurant for 8-10 people. The scene in Nakasu takes place on a pedestrian walkway where a park meets the river. The carts are wheeled out at dusk, and the owners open them up, revealing seating and glass cases for food, like a life-sized pop-up book. Seats go out front, sometimes lined up against a fold-out table for communal dining, or complemented by smaller foldable tables and chairs. Propane tanks, electric generators, and portable fridges line the inside of the kitchen, utensils hang from the roof. The whole thing is about nine feet by seven feet once opened up. In Japan, the carts were depicted as a leftist symbol of the working class during the 1930s, perhaps because the shop owners literally carried their work on their backs. 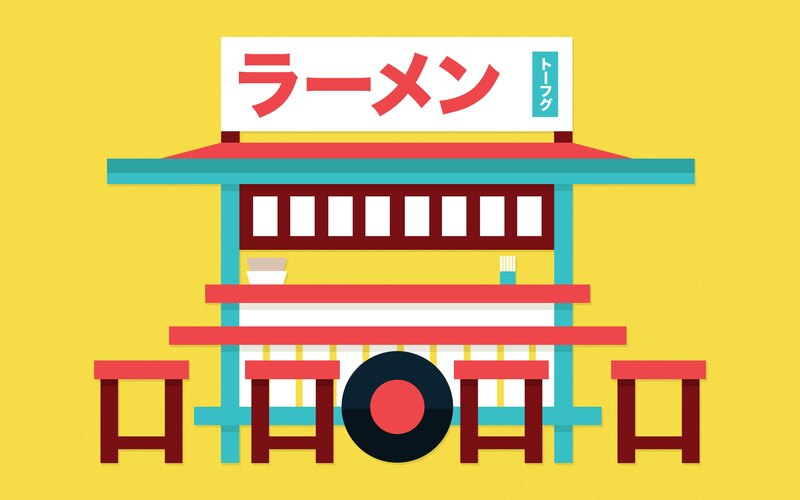 With the rise of food trucks in Western foodie culture, yatai are a reminder that there's nothing new under the rising sun. Ramen 拉麺（ラーメン）: The famous noodle soup. Fukuoka is a famous ramen spot in Japan. And while chains like Ippudo may have branched out to the US, yatai still has a hold on the local imagination. Travel + Leisure Magazine named Fukuoka's Yatai Nagahamaya #1 cart one of the best ramen spots in the country. Okonomiyaki お好み焼き（　この　や　）: A savory pancake. One of the rarest Japanese foods to travel abroad, it can also take quite some time to prepare, giving patrons a perfect opportunity to sit down outdoors with a cold beer or shochu on ice while snacking on edamame. Oden 御田（おでん）: A hotpot soup with cabbage, tofu, and fish cakes. It's very much a "home cooking" style dish, but popular to serve because it can cook all day (it's also a staple of konbini service). Yakitori 焼き鳥（や　とり）: A kind of kebab with chicken or vegetables, heavy on salt or other seasonings. These are nice and quick, and stacks of sticks pile up fast. There's evidence of yatai going back to the 5th or 6th century, when local chefs would set up stands to serve hungry pilgrims to Buddhist shrines. But the contemporary practice dates back to about the 1600s, according to Japanese historian Hiroaki Ichikawa. In the Edo period, daimyo had to make frequent trips to and from the capitol. This meant a lot of travel, and so there was a market for restaurateurs to follow the delegations and serve up the familiar tastes of home. The mobile restaurants were also one of the few food options open at night; in fact, until then, dining out wasn't common at all. Izakayas started to pop up, but yatai were the main attraction. During the Edo period, the wooden food carts were deeply connected to attitudes about fire and fire prevention. Initially, these carts showed up to fill the giant emergency evacuation sites set aside as "empty lots" where people could gather in case of fire. Regulations prevented permanent structures in the fields, making wheeled carts a perfect, if slightly subversive, compromise. But for yatai, fire giveth, and fire taketh away. In 1689, the same paranoia about open flames bloomed into the first government crackdown on the carts, banning any that used fire to cook foods. Sushi, soba, yakitori, and tempura were the popular yatai foods of the day, and all but one of those needs fire. Nevertheless, soba persisted. Part of this was a simple refusal of the cart owners to stop serving, and popular demand shooting up, driven by people's reluctance to cook in their own homes. In the Edo period, daimyo had to make frequent trips to and from the capitol, so there was a market for restaurateurs to follow the delegations and serve up familiar foods. By the end of the Edo period in 1868, Japan's economy was pushing major growth in cities. By the start of the 1900s, so many farmers were heading to the cities for work that a rice shortage loomed. That concentration of people, in much different straits than the feudal lords of the Tokugawa regime, nonetheless flocked to yatai to experience familiar tastes and the nostalgia packed into traditional meals. But it soon became an established way for busy workers to eat on the run. 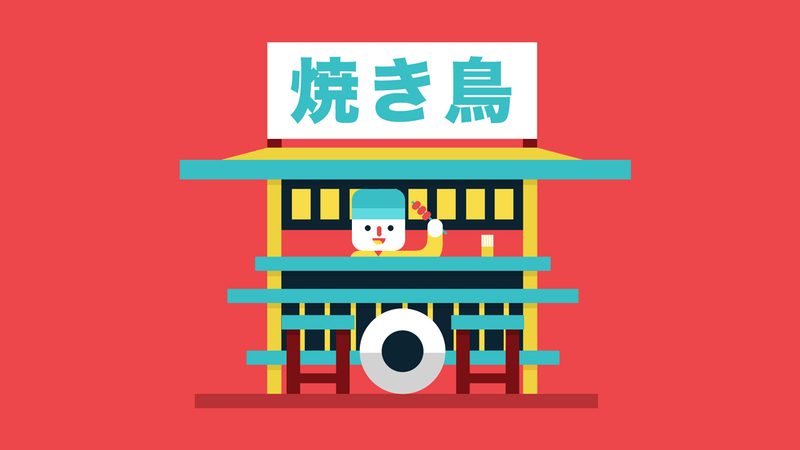 Yatai flourished in major cities as perhaps the world's first "fast food" concept. Soon enough, they were viewed as a business opportunity for the lower classes to rise up economically. That may be why many of the food carts, by the end of the war, were owned and operated by immigrants from Japanese-occupied territories such as Korea and Taiwan. In the old days, local farmers in Nakano, Kōenji, and Musashino grew the buckwheat, and soba shops used to turn the buckwheat into soba flour themselves, which is why the soba was so fresh. These days, however, the buckwheat travels long distances and soba flour is mass-produced by big merchants. The priority for these merchants is not how to make the tastiest food, but how to produce the food at the lowest cost. In this way, the merchants' first instinct is to use the abacus to calculate profits. He also complained yatai had shifted ideas about food quality and freshness: now, noodle shops that made their own noodles advertised it. Before, it had been the expectation. But these concerns couldn't stop the force unleashed when hunger met the hectic pace of Edo period life. Tempura, sushi, and other snacks were simply too good and too fast for the government to successfully shut them down. 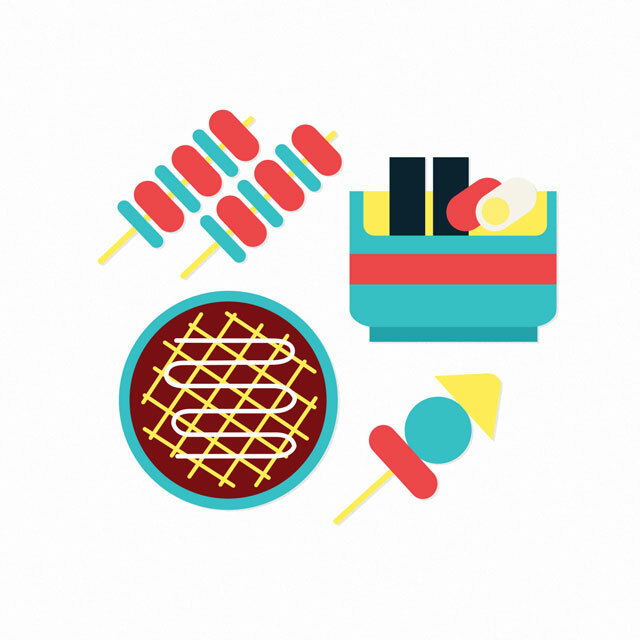 Much of what we know today as "Japanese food" was introduced through the improvisation of yatai. After World War II, the US occupied Japan. Under the occupation, rationing of food meant outdoor street stalls were banned outright, and black market vendors rushed in to fill their space. This was a period of difficult choices, and avoiding black-market foods could mean starvation. Rations accounted for only 1042 calories per day, in the midst of a period of hard labor. Yoshitada Yamaguchi, a Tokyo judge, famously refused to eat black market rations only to drop dead after a year. Though rice was scarce, the US was eventually able to provide plenty of imported wheat. The new staple gave rise to many of Japan's "traditional" wheat-based dishes such as ramen, yakisoba, takoyaki and okonomiyaki. None of this was legitimate, however; and more than 3 million arrests for small vendors took place between 1946 and 1950. The black-market connection meant vendors relied heavily on organized crime rings and government corruption. This, coupled with the tendency of many yatai to be run by immigrants from Japan's former colonies, gave rise to a criminal stigma that lingers today. As the restrictions on food lifted, and cities were being completely rebuilt, workers needed to be fed. This period saw the explosive popularity of gyoza. This dish, imported from the Chinese dumpling, is seasoned with garlic, a nod to Japan's embrace of garlic as a food for heartiness. It's clear yatai were the backbone of contemporary Japanese cuisine; from high-end Tokyo dinner spots to fancy food shops in the American suburbs, much of what we know today as "Japanese food" was introduced through the improvisation of street food vendors carrying kitchens around on their backs. So, what became of this "backbone of Japanese cuisine?" Where are all the pushcarts today? To answer that, we have to jump ahead to one more cultural milestone: The 1964 Tokyo Olympics. Japan changed a lot to prepare for the 1964 Tokyo Olympics. These changes included yatai. Local governments cracked down on the food stands, citing health risks and food safety fears. But there was also the general sense of shame about Japan's post-war struggles with hunger, rations, and black market foods. With Tokyo as the focus of the crackdown, regulations swept outward, empowered, no doubt, by the lingering stigma of their black market days (and perhaps a dash of anti-immigrant sentiment). The outlier in the sweep was Fukuoka City, where vendors organized a yatai trade association in 1950. After the Tokyo Olympics crackdown, Fukuoka had more than 400 stands. By 2013, they had about 120. The reason is their bad manners. They throw away ramen broth or other stuff on the streets, and it causes a bad smell and oil on the streets. Other complaints include the noise. Some carts make use of loud electric generators, not to mention the general ruckus of late-night crowds. Yatai emerged as a side-effect of Japan's rush to modernization; in the end, modernization may be their undoing. While the trade union has spared Fukuoka's yatai from a fate faced by much of the country, regulations are nonetheless tightening. One rule, passed in 1995, firmly established that no new yatai vending licenses could be created; instead, they could only be inherited or passed on to the wives or children (technically, anyone who shares the cost of living in the household) of the initial operators. Another caveat, though: You can't run a food cart part-time. The business has to be the individual's only source of income. With fewer kids wanting to get into the family business, many yatai operators are hitting an age where, perhaps, carrying a kitchen around on a wooden cart isn't so easy. About 10-20 food carts per year are said to close as a result of the "aging out" of the local operators. Some wonder if the tradition will even make it to the next Tokyo Olympics in 2020. So it may be that this long-standing backbone of "traditional" Japanese meals will soon disappear from a few final spots in Fukuoka1. If so, they would be victims of the same forces that brought them into existence. They emerged as a side-effect of Japan's rush to modernization; in the end, modernization may be their undoing. However, Fukuoka is recognizing yatai's demise and value, and has been working with vendors to address problems related to noise and other public-nuisance elements. The model seems to be winning people over (at least online) to the idea that government and yatai can peacefully co-exist. Today you can find portable pizza ovens in the back of white vans driving along the streets of the Fukuoka, stopping at parks in the trendy Tenjin and Daimyo neighborhoods. But they're a far cry from a night out in an open wooden cart, eating dishes made by a chef with an expertise, and long history, serving up classic Japanese street foods.